Rare, medium, or well done? 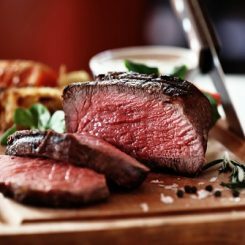 However you like your carefully sourced 30-day aged British and Irish steak cooked, you can be certain they’ll treat it with the respect it deserves at Miller & Carter. And if steak’s not your beef, don’t worry. 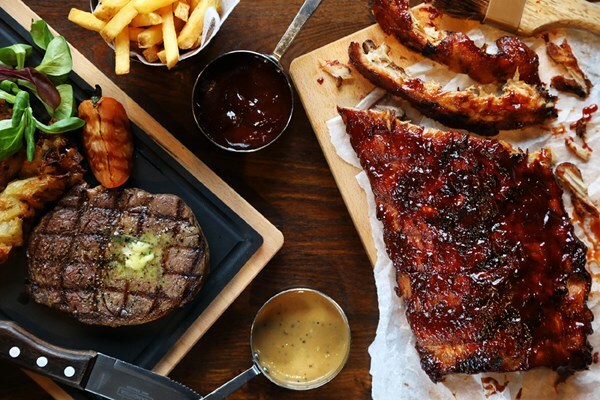 There’s plenty of other choices available from handmade British beef burgers, to grilled meats and ribs as well as a range of delicious fish dishes and pasta dishes. 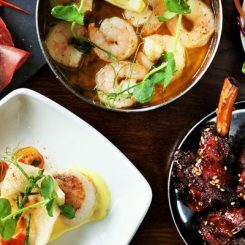 Whether you go for their separate lunchtime menu – sporting a fixed price deal of two courses for £10.95 or three courses for £13.95 – or their evening menu, you’ll be spoilt for choice. 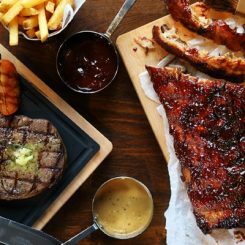 In the evening, why not linger over a Sharing Board of Hoisin sticky duck wings, salt and pepper calamari, spinach and feta bourekas, chipotle glazed chicken wings, hand-cut nachos, dressed slaw, lemon aioli and smokey tomato relish; before tucking into a 50 day wet aged and bursting with flavour Grain Fed Ribeye? Alternatively, you could check out the restaurant’s fish or pasta dishes which include Tempura Hand Battered Cod Mushroom and Black Truffle Tagliatelle or the Moroccan Style Super Food Salad with Chicken, featuring roasted root vegetables, brown rice, quinoa, tenderstem broccoli, grapes and baby leaves with a pineapple and ginger dressing. 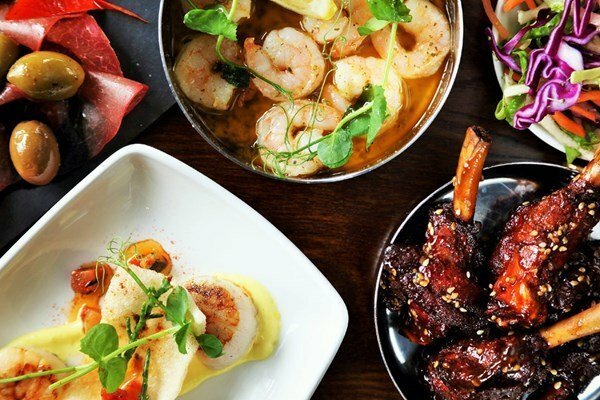 Alongside drinks and wine menus, you’ll find a full range of special menus catering for Younger Guests, Desserts, Dates and Steaks, Chef’s Specials, Graduation and even The Art of Christmas. Bistro Rump: Taken from the centre of the rump to combine great tenderness with full flavour. Recommended medium rare. Sirloin: A delicate flavour balanced with a firmer texture. Recommended medium rare. 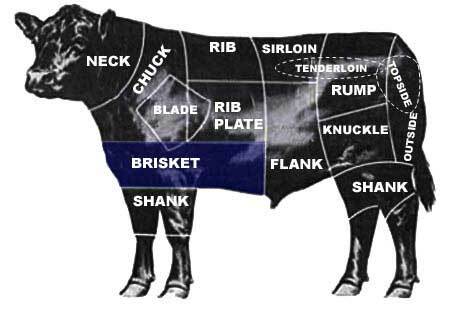 Rump: A firm texture and rich flavour. Recommended medium. Ribeye: Bursting with flavour and almost as tender as fillet. Recommended medium. 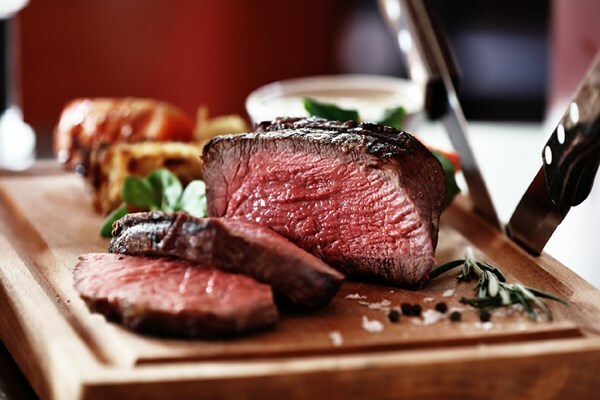 Fillet: The most tender steak regarded by many as the premium cut. Recommended rare.